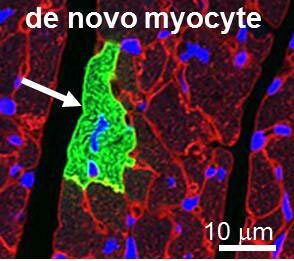 The laboratory is interested in cardiac regeneration after myocardial infarction. The approach we are undertaking is to characterize and manipulate cardiac progenitor cells or stem cells so that such cells can be harnessed to make new contracting myocytes to replace damaged areas of the heart. We are attempting to understand the types of progenitor cells that might be in the heart, or those from outside the heart, which could be amenable to transdifferentiation into cardiac myocytes. Efforts are also underway to genetically manipulate various cardiac progenitor cells so that they are more likely to adopt a cardiomyocyte cell fate.